To meet the huge market demands and requirements of the customers, we are involved in offering best quality of Hydraulic Concrete Block Making Machine. The offered Hydraulic Concrete Block Making Machine is appreciated for its longer working life and supreme quality. 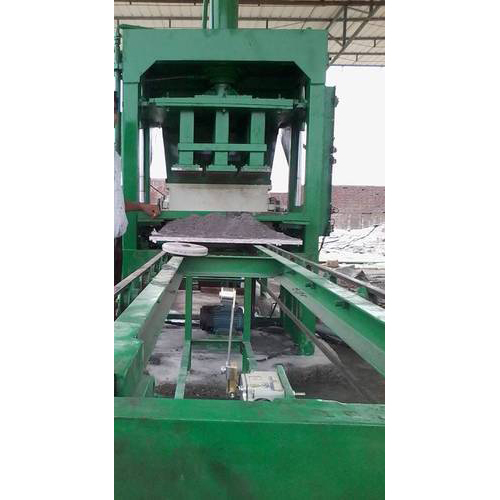 Further, the offered Hydraulic Concrete Block Making Machine is extensively used in construction industry these hydraulic block making machines. Powered by 01 02 H.P. Batching System with hydraulic Hopper having 2 bins for individual electronic weighting system for each ingredient separately, Digital Weight Indiacators, hydraulic hand lever/Valve operation for emptying the contents of the 3bins in for the Pan mixer.